“Sitting outside at a beach café in Nice overlooking the sea as I write this, decompressing and enjoying some well earned R&R post-MIPIM 2018, I am reminded of all the reasons why I love what I do, connecting people, connecting places and the #magicofmipim. MIPIM 2018 was full of optimism and it felt as though every single person was in the mood for connecting, doing deals, making things happen and forming meaningful collaborations. Despite the threat of thunder today the blue sky has broken through to show every visitor why the French Riviera is the must visit destination for an early Spring break (correction, as I publish this the weather is grey, the rain is imminent and definitely no blue sky is in sight). Quite a different picture to Day 3 (Thursday) at #MIPIM, which, whilst a ‘wash out’ in terms of the weather and the ability to network on the veranda was in fact one of the most successful MIPIM days for connecting with key industry professionals. Delegates from across the event had by then visited their own pavilions and were exploring other regions at a more leisurely pace, safe from the rain outside. 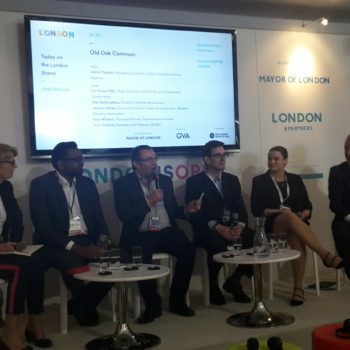 Some really useful and somewhat less frazzled conversations took place on and around the #LondonatMIPIM pavilion on that day. Coupled with the sheer volume of connections made on other days on and off the stand at hosted events and the less formal meeting spots of ‘Caffe Roma’, ‘New York, New York’ and the like, this was quite simply the most positive, proactive, and productive event on the industry calendar. Where else could you meet so many people from all ends of the industry all seeking to connect, collaborate and co-create than at #MIPIM? By all accounts, the event is indeed the most important event in the calendar. To attend #MIPIM and spend the time out of the business plus the cost of attendance is quite an expense for any sized company. So, people come ready to make it worth their while, open for business just like the destinations showing their wares. A case in point, at one event within a minute of introducing myself to a fellow attendee, I was asked – ‘so, how can I give you some business?’ This was but one example of a new connection I will be speaking with in the days and weeks to come. I also met some old and new friends and we have discussed ways that we can work together to celebrate our places and find ways to make a meaningful difference to local economies. 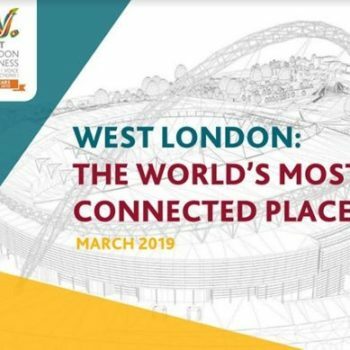 I can’t wait to explore new opportunities for helping organisations to connect to people or connect their places. It’s what I love doing most and why, after spending many years working in Local Government in Place Marketing, Inward Investment and Economic Regeneration roles, I went into business for myself. To help more people and places to connect. It’s what it’s all about and events like #MIPIM make it fun, engaging and successful. Lisa Sharp is Managing Director of Sharp Business Insights – Connecting People, Connecting Places. Leaving your details is optional, we will only publish your name, not your email address nor your website address.